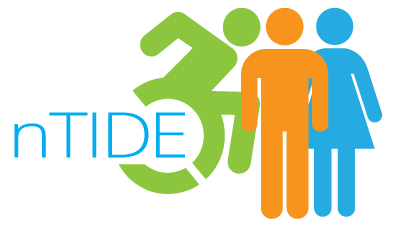 The goal of this activity is to raise awareness among a broad range of stakeholders regarding National Trends in Disability Employment (nTIDE) by disseminating federal government disability statistics through a monthly webcast and press releases. To share these trends and statistics across a diverse audience, we use a multifaceted outreach strategy with consistent timing and structure. This outreach strategy allows us to share current statistics on disability employment and labor force participation. The webcasts also give us an opportunity to highlight employee experiences as well as any new findings in the field of disability employment. Connecting individuals' stories to the data aims to help our audience understand the impact that employment statistic trends have on the lives of specific people with disabilities. These stories also encourage our audience to tune in each month. Employment rates of people with disabilities have consistently been lower than employment rates of people without disabilities. The Rehabilitation Research and Training Center on Employment Policy and Measurement (EPM-RRTC) aims to increase employment for people with disabilities by developing and disseminating new knowledge about disability employment policy and ways to measure the labor market experiences of people with disabilities. The EPM-RRTC increases evidenced-based advocacy and policymaking, fosters the adoption of effective policies and practices, and improves the quality of information available on how public programs can help people with disabilities gain employment. As part of this mission, the EPM-RRTC works with several partners on research projects. These partners include the Association of University Centers on Disabilities (AUCD), Hunter College, Kessler Foundation, Mathematica Policy Research, and University of Chicago. The EPM-RRTC also implements 12 knowledge translation projects that involve different types of outreach, training, and technical assistance activities. In this casebook entry, we highlight our signature dissemination strategy, National Trends in Disability Employment (nTIDE). nTIDE includes a monthly press release and an associated Lunch and Learn webinar series. The project creates a consistent presence and a source of up-to-date information on disability and employment that audience members can count on. The press release and webinar occur on the same day that the U.S. Bureau of Labor Statistics (BLS) releases their national employment and labor force participation statistics. This is typically on the first Friday of each month. Monthly press release. On the day of the press release, a University of New Hampshire (UNH) team member sits poised over the BLS website, awaiting the data release at 8:30 a.m. Eastern Time. BLS exports data into an Excel worksheet, which transforms the data into a framework that shows statistics over time. Once the data is released, the UNH team member quickly discusses the latest statistics with staff at the Kessler Foundation. The Kessler Foundation then develops a press release, an infographic, a website posting, and social media posts, including Facebook and Twitter. These media products are disseminated nationwide by 11:00 a.m. Lunch and Learn webcast. At noon Eastern Time, on the same Friday the press release is sent out, we hold a live Lunch and Learn webcast. Every webcast is an explicitly balanced hour of numbers, policies, interviews, and guest presentations. The tone is relaxed and feels like a conversation with interesting people who love what they do in the field of disability employment. We plan the guest speaker roster with our partners months in advance, with the understanding that the numbers will be filled in at the last minute. Our standing agenda begins with an overview of the monthly nTIDE report, looking at trends in employment statistics over time. The Excel worksheet used to develop the press release automatically populates the slides to show the numbers with charts and trend lines. After this, a representative from AUCD presents nTIDE News: federal and state updates, notable research and items of interest, etc. Last, we have a guest presentation, which typically offers best practices from a variety of programs. The final 15 minutes is reserved for questions and answers. The webcast is captioned in real time, and we give speakers guidelines to help them make sure their presentations meet accessibility standards. All webcasts are recorded and posted later the same day on our website (https://researchondisability.org/home/ntide). We use Zoom as our videoconference platform, and we always hold a dry run with the technology the Thursday before the webcast. If it is the first time someone has used Zoom, it is important to work out any kinks to ensure that he or she is comfortable using the technology. Initially, the webcasts were primarily a dissemination of information activities, but to better meet the needs of our audience, we began using polls and surveys during the webcasts to identify what was helpful and what could be improved. In addition, we request participants to suggest ideas to cover in future webcasts. We measure our impact in terms of reach. We know that the press release reaches about 8,900 people on the UNH Institute on Disability and Kessler Foundation distribution lists, as well as through social media. In addition, Kessler disseminates the report to 1,200 websites. The live Lunch and Learn webcast reaches an average of 52 people each month, including a mix of policymakers, researchers, and consumers. Archived webcasts also reach a substantial number of viewers. For calendar year 2017, these broadcasts were downloaded roughly 23,500 times and played 600 times, representing 1,300 minutes of viewing per month. This information is routinely shared with our partners so that we can craft webcasts that meet the needs of our stakeholders. Providing up-to-date information is challenging but reaches a wide audience. Implementing the nTIDE consumes most of the workday on the first Friday of each month for many of our EPM-RRTC staff members. Informal reports indicate that the benefits of providing up-to-date information on a regular basis outweigh the challenges of this production schedule. It is important to have a back-up for the back-up. To implement this activity, we have developed a detailed, step-by-step production schedule that can be followed in case regular staff are not available. Due to unexpected staff changes, we have also learned to regularly train back-ups (and back-ups for the back-ups) because we have had to go deep into our talent bench at certain times of the year to ensure seamless production of the press release and webcast. Where will that Nor’easter hit? Much of what we do relies on communication. This is most evident on the day before and the day of the webinar. Our core team members are located across several states: (a) the team in New Hampshire; (b) the team at Kessler Foundation in New Jersey; (c) our co-host, Denise Rozell, from the AUCD in Washington, DC, and our web expert in New York (a UNH employee who telecommutes); and (d) our captioner, who could be anywhere. In addition, our guest presenter and interviewee from the field could be from any part of the country. We connect through email and phone, and for the webcast and practice run, we connect through Zoom. What happens if there is a storm in New Hampshire and the university is closed? Or what happens if one of our partners cannot access the necessary technology? How will we communicate? Last winter, this came very close to happening. Eventually, we decided to follow the storm policy of the UNH, our host organization. The UNH will cancel the webinar during weather delays that last longer than noon. Thinking about access to the internet made us consider what our minimum requirements were in terms of people: (a) one technology person, either our team member in New Hampshire or our team member in New York, who connects from home or the office; (b) our presenter; (c) and two out of three hosts. If any of these elements are not in place, we cancel the webinar. Finally, we made a communication plan in which a point person sends an email or text message to people’s cell phones regarding delays or cancellations. As it happened, we did not have to cancel the webinar last winter, but thinking through the process was beneficial. We have two designated technology people who work with us before and during each webcast, and the unexpected still happens. We use technology glitches as an opportunity to be reminded of what many members of our audience regularly experience.